At no cost to you, our dedicated staff at the Concierge Desk will help you to make contact with service providers in your area who will be best able to serve your home related needs. We make the calls, request price quotes, and assist you in obtaining information in order to help you complete your project quickly and efficiently. If you need assistance regarding home repair, products, or have questions and require information, contact the Concierge Desk and let us assist you. 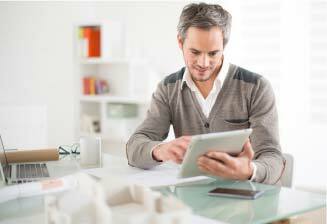 What is the Concierge Program? 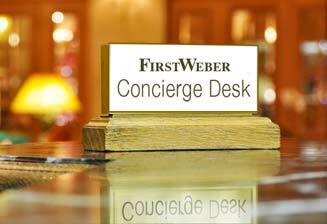 The First Weber Concierge Desk is here to help you save time and energy. Whether you are making home improvements or trying to find solutions to every-day home related problems, give us a call, or go directly to our list of preferred vendors in your market area. 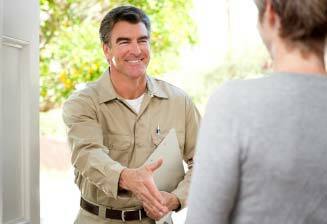 Our preferred vendors have agreed to deliver high priority, quality service and products to First Weber clients and customers referred to them through this Concierge program. The service providers in First Weber’s Concierge program are all independent companies or contractors not affiliated with First Weber, unless otherwise identified. The participants pay a fee used to maintain the program and advertising, but to be included, each participant commits to providing quality work. First Weber receives no payment or referral fee. Please note that First Weber and its employees or agents may provide referrals to the service providers or vendors in the program, and may help with scheduling or other logistical matters, if requested, but it is you, the client or customer, who is responsible for selecting and contracting with any particular service provider or vendor with whom you may wish to work, and for ensuring that any given service provider or vendor you select is adequately qualified to perform the work or supply the product desired. FIRST WEBER, ITS EMPLOYEES AND ITS AGENTS DO NOT, AND CANNOT, GUARANTEE THE QUALIFICATIONS OF THE SERVICE PROVIDERS OR THE QUALITY OF THE SERVICE OR PRODUCT PROVIDED IN ANY GIVEN JOB OR PROJECT. Any problems or concerns should be communicated to and resolved directly with the service provider or vendor, but we would ask that you make use of our “Survey” and provide any feedback you may have to our Concierge program.